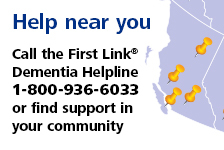 Personal planning | Alzheimer Society of B.C. Starting to plan for the future as early as possible ensures that the person with dementia can play a role in making important health-care and financial decisions. Guest speaker, Joanne Taylor of Nidus Personal Planning Resource Centre, gives an overview of the key legal documents in B.C. to plan for incapacity, end-of-life and after death.